It's all about the centerpiece! Whether you’re looking for glamorous or understated, old-fashioned or ultra modern, formal or fun, we have the centerpieces for your next event. Browse centerpieces by type, or learn more about each below. The centerpieces you select will be the first thing your guests see upon entering your reception, as well as the focal point during the meal or social time. 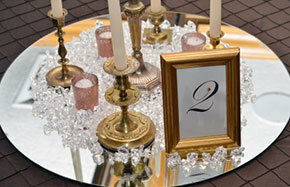 Your centerpiece will go a long way in setting the tone of the event. Vase and glass centerpieces can help to display your beautiful floral or feather arrangements or other creative touches. Crystal centerpieces recall the luxury of early 20th Century fine dining with all the glitz of today and are sizable enough to stand alone as decorations. 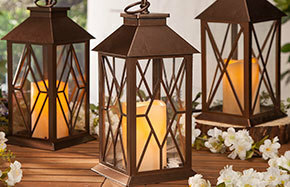 Our candles and holders offer many options from small glass or jewel-studded votive holders to breath-taking candelabras, as well as the candles to use with them. 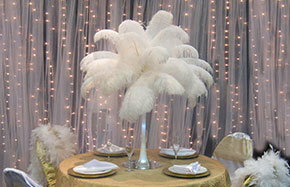 Our ostrich feather centerpieces in narrow, fluted eiffel tower vases (24" or 28" tall) do indeed tower over many other options with their spreadable bouquets of reusable, top grade ostrich drabs (13-16") or plumes (18-22"). Our wider trumpet vases come with water gel beads in a color of your choice. Use our floralytes to create especially stunning centerpieces. 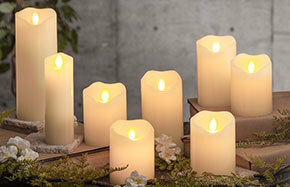 Select from worry-free, realistic-looking flameless candles available in pillars, floating, taper, ball, votive and pillar wax candles. 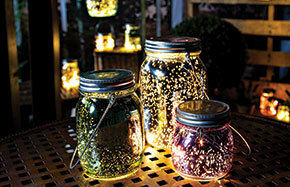 Save money by purchasing wholesale glass vases. 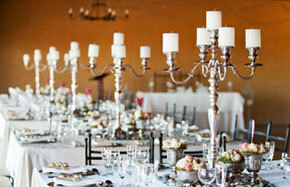 At Events Wholesale we strive to provide you with bulk discounts, and always at the lowest price guarenteed. 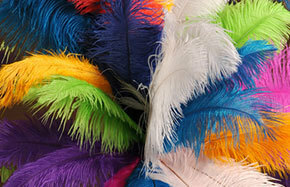 What is the Difference Between Ostrich Plumes and Ostrich Drabs?